Lake Arrowhead Resort and Spa pool area. 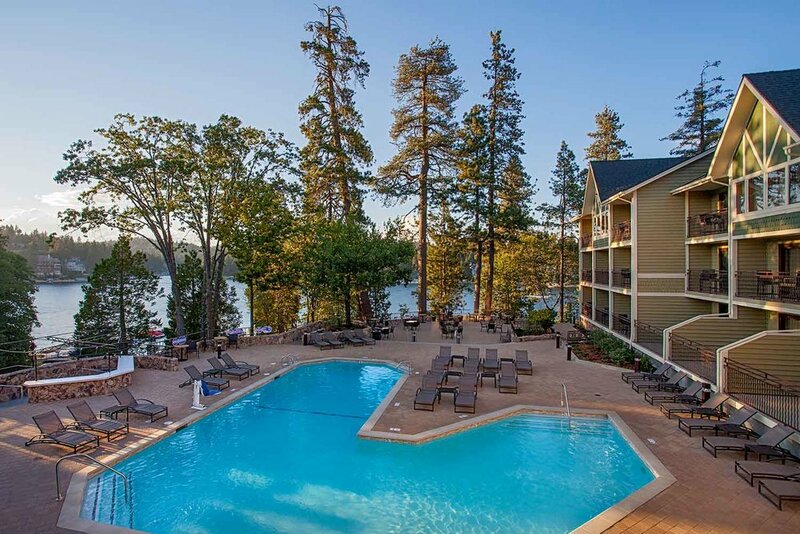 A stylish boutique resort offering casual indulgences in a pristine natural setting, Lake Arrowhead Resort and Spa pairs sophisticated design with attentive service and high-end amenities. 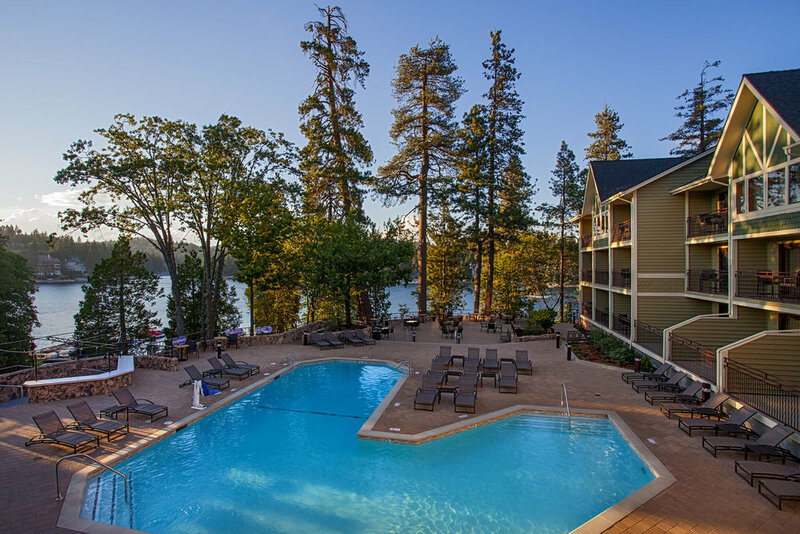 The resort, located in the heart of Lake Arrowhead Village and on the banks of Lake Arrowhead, offers its guests exclusive access to the private lake. Surrounded by the San Bernardino Mountains, it’s an ideal getaway for travelers that want a traditional lakeside vacation. Spa of the Pines front desk at Lake Arrowhead Resort and Spa. Why You’ll Love It: We receive many compliments on our facilities, including the steam rooms, our co-ed lounge, our therapists and treatments. And everyone loves our refreshing, cool peppermint-scented towels. 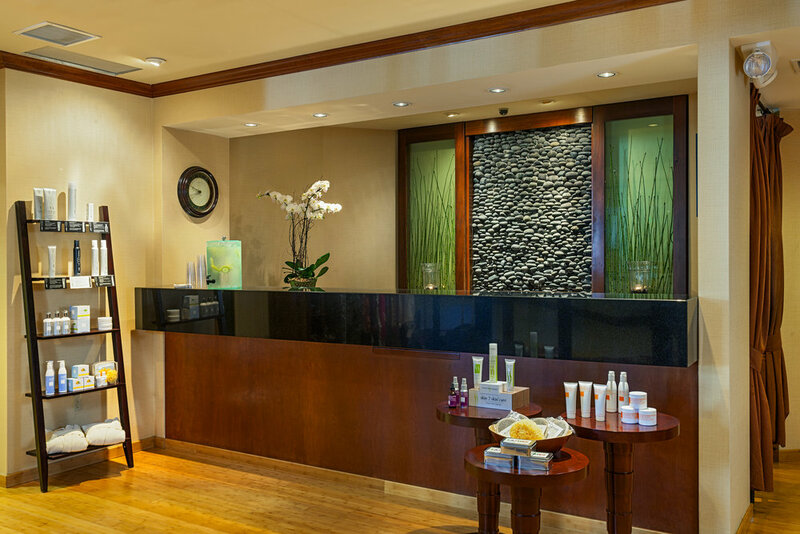 Key Features: Our spa guests have full access to our indoor and outdoor amenities. The fitness center is fully equipped with a variety of cardio machines, free weights and weight machines. Each men’s and women's locker area has a eucalyptus steam room, spa, and experience shower—which is a large waterfall shower head with 13 shower heads all around. Each treatment locker is preset for your arrival with a robe, sandals and thoughtful amenity pack. Before and after treatment, guests have quiet relaxation lounges to rejuvenate with a beautiful view of Lake Arrowhead. The outdoor amenities are just great: a pool heated to 82 degrees year-around, two outdoor spas, and access to our private beach area. 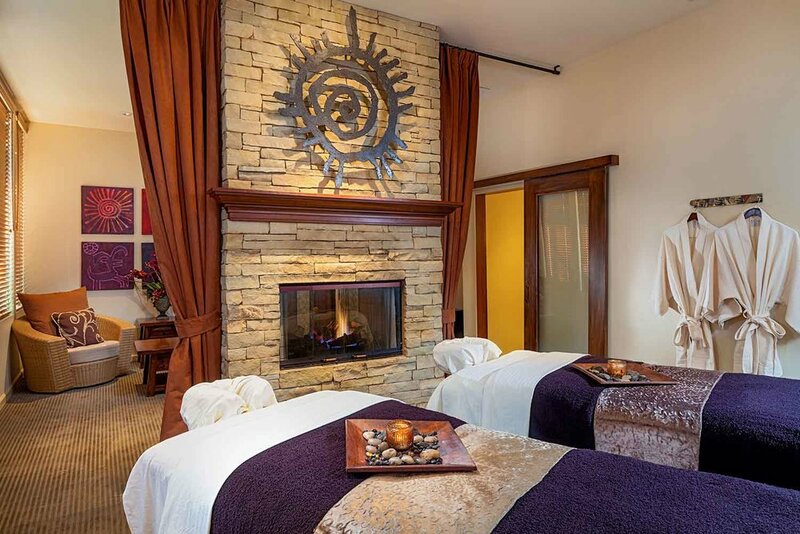 The Spa’s Couples Treatment Room. Bonus: After each spa treatment, guests are offered a complimentary glass of champagne. On the weekends, we have a mimosa bar along with complimentary fresh fruit. All yoga and fitness classes are included with purchase of a treatment. Spa Snacks: The Spa of the Pines offers assorted teas, hot cider, hot chocolate, coffee, fresh whole fruit, assorted nuts, chocolate covered pretzels, seasonal dried fruit, and spa elixir-infused water. Splurge Treatment: The Spa Ritual for Two is a lavish two-and-a-half-hour experience utilizing our VIP Journey Suite, and includes an exfoliating body scrub followed by our Signature Massage. CBD oil can be used as an enhancement. The VIP Journey suite is spacious and gorgeous with a private fireplace and indoor/outdoor seating area. Tea service or chilled champagne complete the experience, allowing couples to lounge in the private space on their own for 30 minutes. 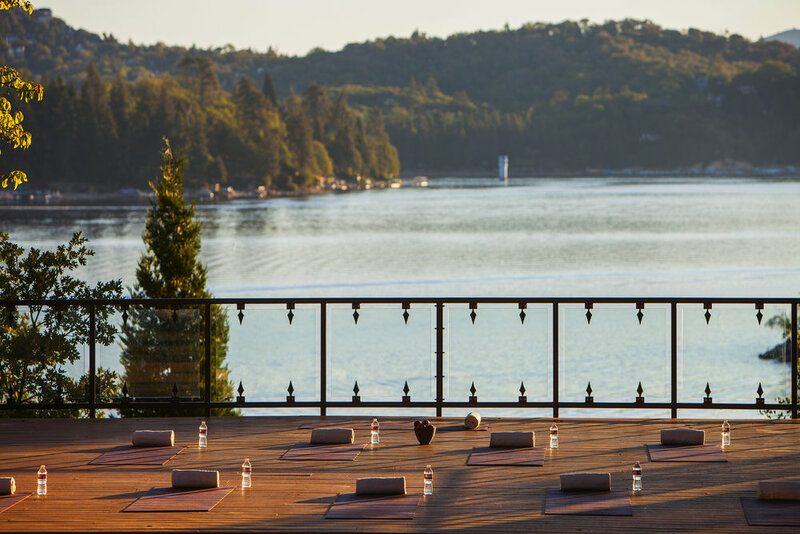 Morning lakeside yoga at Lake Arrowhead Resort and Spa. Unique Treatment: Our most unique treatment is the Cleopatra, which is an 80-minute personalized facial with a craniosacral energy massage. Insider’s Favorite: My favorite treatments are the Signature Massage and Personalized Facial, which are both customized to each guest’s individual needs. Featured Brands: Body Bliss, EmerginC, Farmhouse Fresh, Oliviana, PCA, Primal Elements, Pure Fiji, and Well CBD. We retail Coola, Mala Mantra, Mind In Motion, Prana Activewear, and Spa of the Pines private label body products. For more information, visit lakearrowheadresort.com and be sure to follow @lakearrowheadresortandspa.